The Arizona Wildfire and Incident Management Academy was created and developed in 2002, as a 501(c)3 non-profit organization. Our dedication and passion for firefighter training and safety is the foundation of our organization. Since its inception, the Academy has issued over 10,000 certificates of completion to firefighters in wildland firefighter training and the Incident Management System. The firefighters that attend our academy represent over four hundred twenty fire departments and eight agencies throughout the state of Arizona, plus a wide range of agencies throughout the country. The benefits of the Arizona Wildfire and Incident Management Academy (AWIMA) are measured in several ways, but most importantly being the safety of our firefighter. The knowledge gained by this formal training continues to support our firefighters in quality decision making that makes a huge difference in structures, land and lives saved annually. The AWIMA provides over 50 wildfire and incident management classes annually. Our target students are from rural, volunteer, city fire departments and districts as well as new recruits. The benefits of this training to city, rural and volunteer fire districts are invaluable. Their ability to keep abreast of technological changes, as well as firefighting techniques, raises the skill levels in these departments and fire districts. This enhances firefighter safety in the suppression efforts in the wildland/urban interface environment while protecting communities state wide. The Arizona Wildfire and Incident Management Academy encourages all rural, volunteer and city fire departments to send students to receive quality training in a learning environment that allows student an opportunity to network, meet people and share ideas. We strive to provide the highest quality of training in the country. Our instructors and team members are of the highest caliber in their wildland positions; they volunteer to teach because next to fighting fire; educating the next generation of wildland firefighters is a priority. Arizona Wildfire Council (dba Arizona Wildfire and Incident Management Academy) accepts donations for our Scholarship Program that provides tuition assistance to students and agencies that need it. 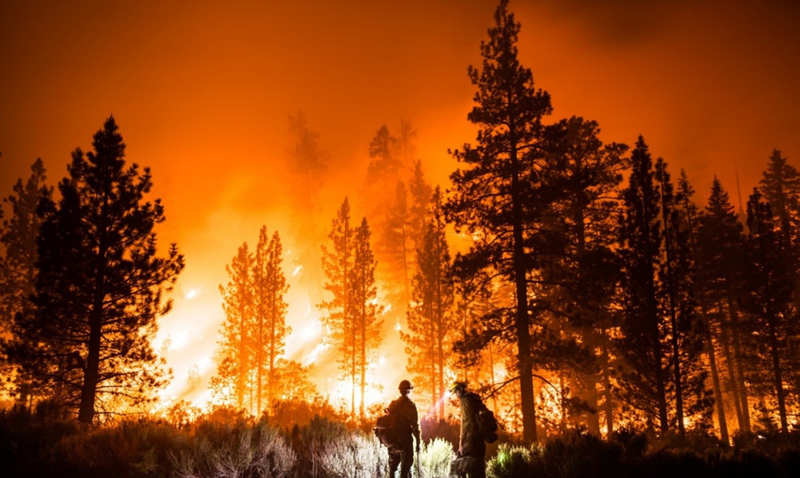 To develop professional and safe responses in the wildland environment by offering training and education that meets or exceeds the National Wildfire Coordinating Group and FEMA standards. A huge thank you to everyone that helped make the 2019 Academy a huge success. We had over 800 students attend 45 that were taught by experienced professionals; a volunteer incident management team that made everything run as smooth as silk; and invaluable volunteers that were a tremendous help at check-in, the tribute night and merchandise sales. We also had strong community support with scholarships, grants and donations made from many individuals and businesses.